Swag Craze: FNB WhiskyLive Festival ticket GIVE AWAY! 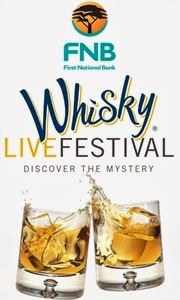 Would you like to go to the FNB WhiskyLive Festival taking place at the Sandton Convention Centre from 6 to 8 November 2013? It is THAT easy! We have 3 double tickets to give away (1 double ticket for each day of the festival). MAJOR NEWS: Chivas Regal and style are so innately linked, and they will be present at this year’s FNB WhiskyLive Festival. They will be giving visitors the opportunity to meet with a master-tailor who will provide insight into the craftsmanship of tailoring. This is a MUST attend event, so start entering the competition! Remember you will be responsible for your own transport.